Missing teeth have a significant impact on the appearance of the smile as well as functionality. It can also affect your self-confidence. Dental implants and bridges are the two solutions that dental professionals use to address these problems. While both of the treatments fundamentally address the same challenges, at a technical level, they are different. 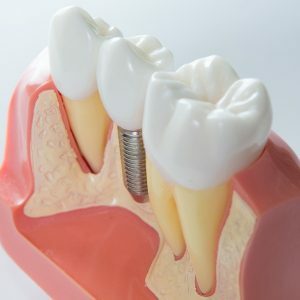 If you are confused whether to get dental implants in Melbourne or bridges, it is essential to understand the treatment options that are available to you first. Come on let’s find out which is best for you. Tooth implants Melbourne acts as a root of a natural tooth. The Dental implant includes a metal screw, abutment, and the prosthetic tooth. A Dental implant is a titanium post that is surgically mounted on the jawbone. Once it is inserted, it forms a sturdy foundation for holding the prosthetic tooth. It holds the restored teeth firmly and allows patients to feel, look and function like a natural tooth. You cannot identify that it is an artificial tooth. This is the reason why many go for dental implants. Moreover, when maintained well, it can last lifelong. The benefits of dental implants are countless, and it does not have any side effects. Dental bridge helps to hide the gap created by one or more missing teeth. Dental bridges come in a variety of materials and finishes. Dental bridges are removable, but they cannot hold steadily like dental implants. It requires at least three crowns connected together to fill the space of the teeth. This design creates a challenge while brushing and flossing. Why are dental implants Melbourne better than bridges? The average life of dental bridges is approximately 10 years. But, dental implants Melbourne can last a life time provided if it is maintained well. The implants are made of titanium material, and it can fuse with your jawbone naturally through a process called osseointegration. Whereas, in bridges, a portion of your natural tooth remains beneath and normal wear may cause the bridge to fail more easily over time. In short, the remaining tooth structure is subjected to gum disease and decay. A Dental implant functions and look like a natural tooth. On the other hand, a dental bridge can be easily identified as an artificial tooth, and it does not look like a natural tooth. The implant will provide the most pleasing result, as your dentist can make the prosthetic tooth like your natural enamel. While the dental bridge seems to be less compared to dental implants, it may need to be replaced at some point in the future. From preparation to final placement, dental implants may seem more expensive. But, remember you are going to spend only once, and it can last as long as you live. Fortunately, most of the insurance covers a part of the cost for this procedure, and you can reduce the dental implants cost in Melbourne. Hope you might have got why dental implants are popular than bridges. Choosing the same will allow you to save more in the future. If you want a permanent solution, speak with your dentist and fix the date for getting it. This entry was posted in Dental Implant and tagged dental implants cost, Tooth implants Melbourne. Bookmark the permalink.